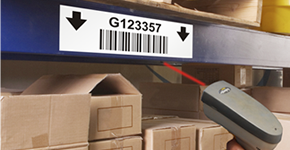 Track and organize inventory with inventory barcode labels. 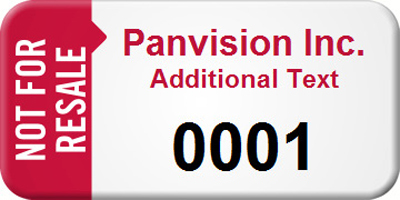 • Custom templates allow you to add your name and choose exact starting numbers. 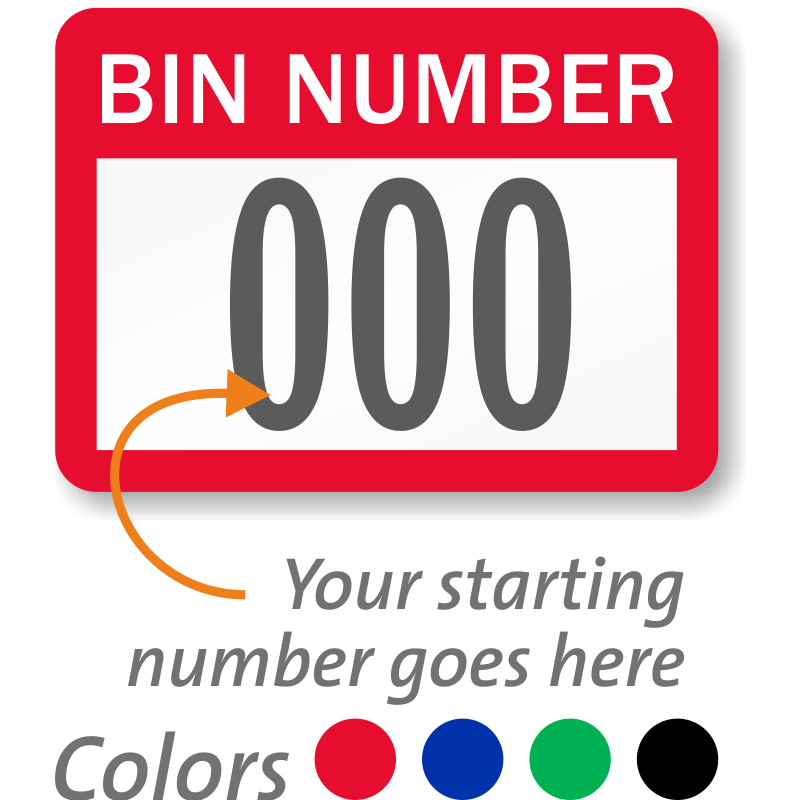 You may also upload your own list of numbers (can be random) – if you need to match an existing scheme. • Stock designs are affordable. 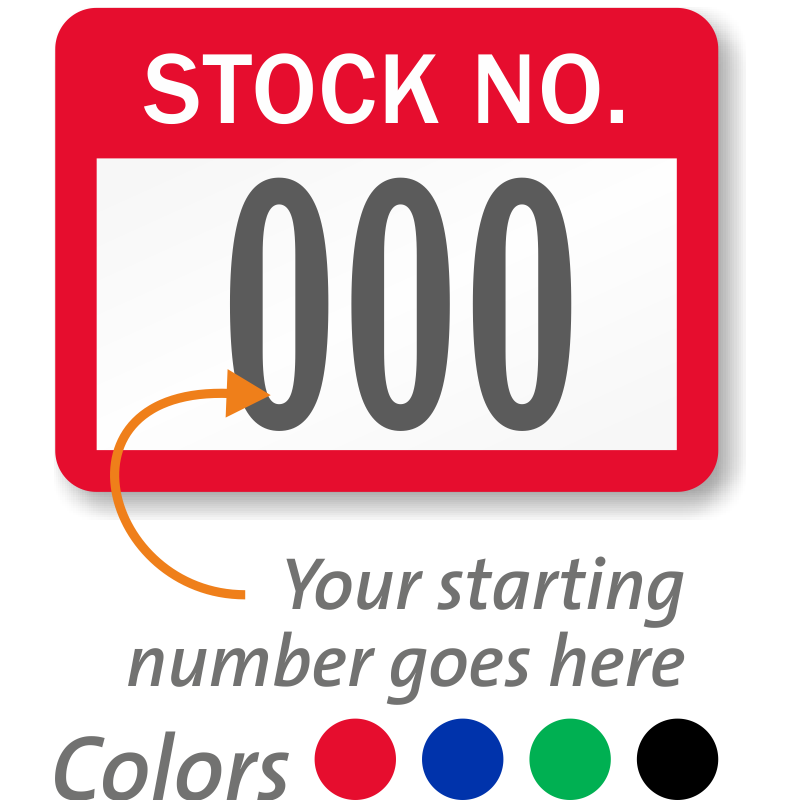 Choose your color and your starting numbers. Vinyl labels have an aggressive adhesive that sticks to both metal and plastic. 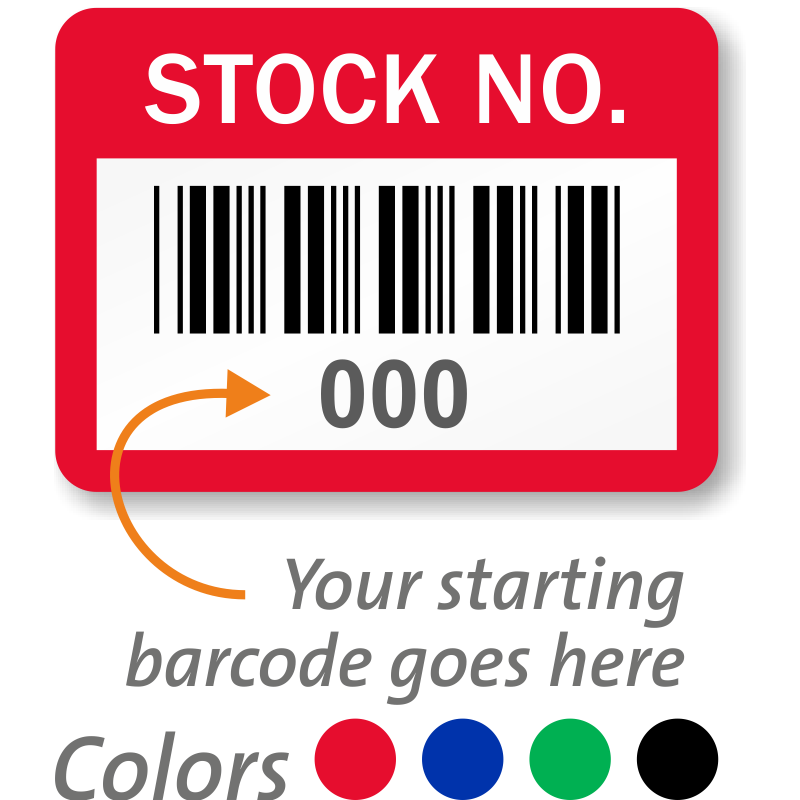 • The custom inventory labels are available in a wide range of materials, ranging from durable metal AlumiGuard to low cost EconoGuard. 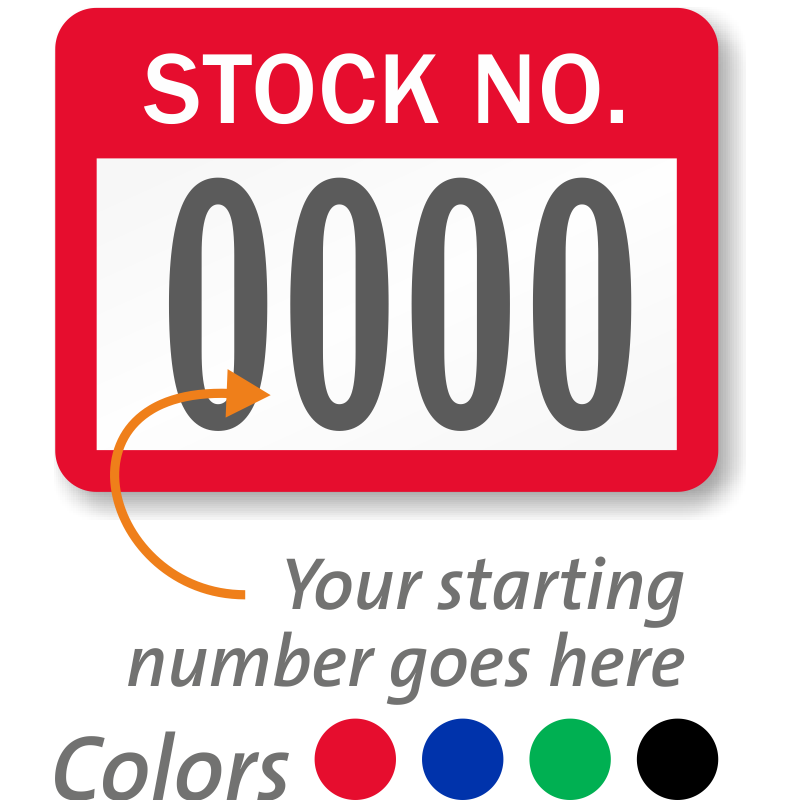 All designs can be color coded. 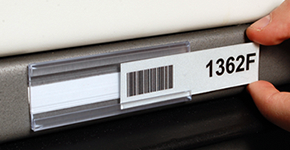 Have a roll of consecutively numbered barcode labels on hand to easily organize your inventory. 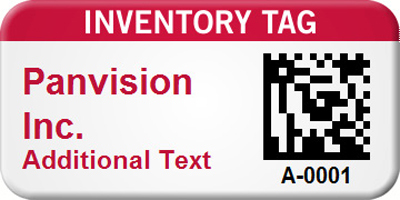 Custom 2D Inventory Barcode Asset Tag, 0.75 in. x 1.5 in. 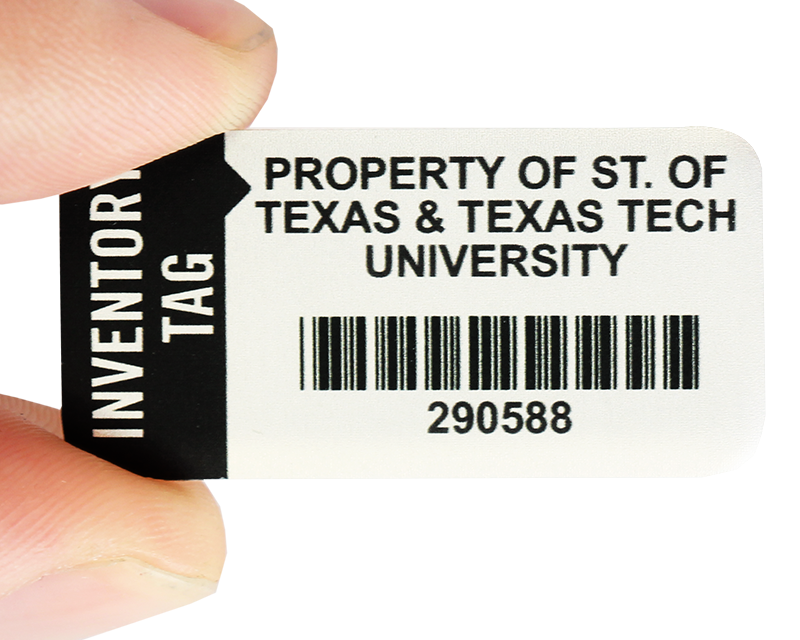 Custom 2D Inventory Tag Barcode Asset Tag, 0.75 in. x 1.5 in. 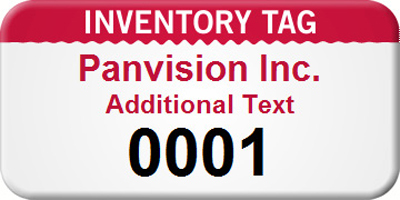 Custom Inventory Asset Tag with Numbering, 0.75 in. x 1.5 in. 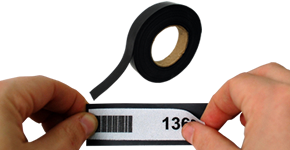 Custom Inventory Tag Asset Tag with Barcode, 0.75 in. x 1.5 in. 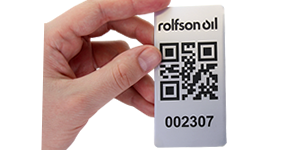 Customizable Inventory Asset Tag with Barcode, 0.75 in. x 2 in. 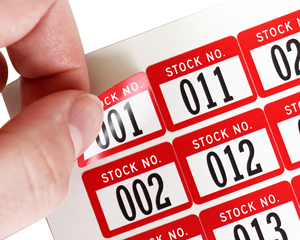 Customizable Inventory Asset Tag with Numbering, 0.75 in. x 2 in. Customized Inventory Asset Tag with Barcode, 0.75 in. x 2 in. Customized Inventory Asset Tag with Numbering, 0.75 in. x 2 in. 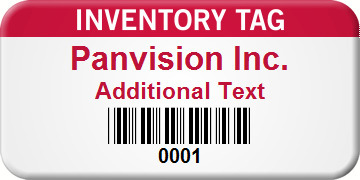 Inventory Tag - Custom Asset Label With Numbering, 0.75" x 1.5"
Inventory Tag With Barcode, 0.75" x 1.5"
Not For Resale Custom Asset Tag with Barcode, 0.75 in. x 1.5 in. 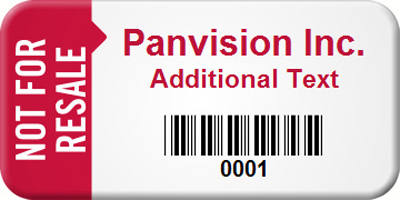 Not For Resale Custom Asset Tag with Numbering, 0.75 in. x 1.5 in. Personalized 2D Inventory Barcode Asset Tag, 0.75 in. x 2 in. 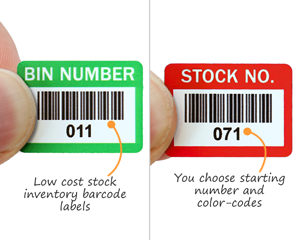 Personalized Inventory Asset Tag with Barcode, 0.75 in. x 2 in. 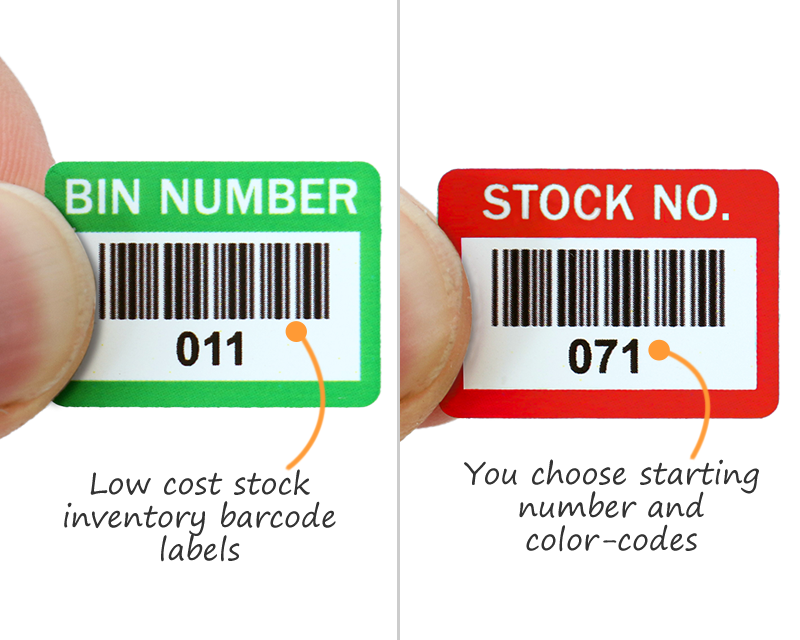 Personalized Inventory Asset Tag with Numbering, 0.75 in. x 2 in. Get started on your own custom design with these great custom templates. 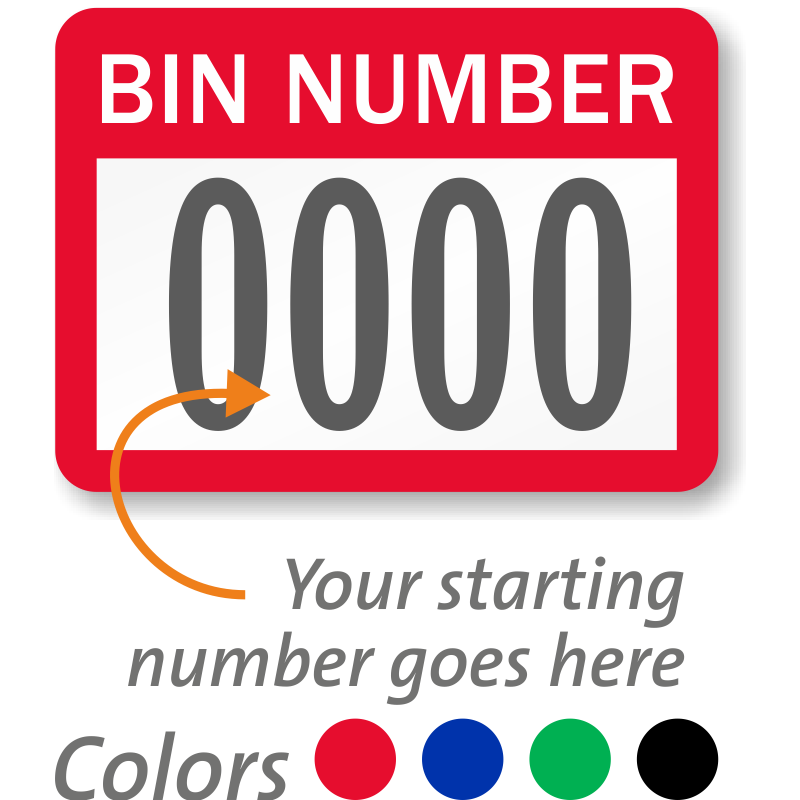 Add text and your own starting number to any of the templates below. 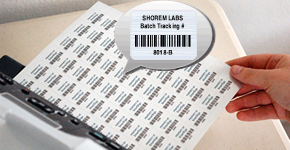 • Reflective labels scan from 20+ feet away. 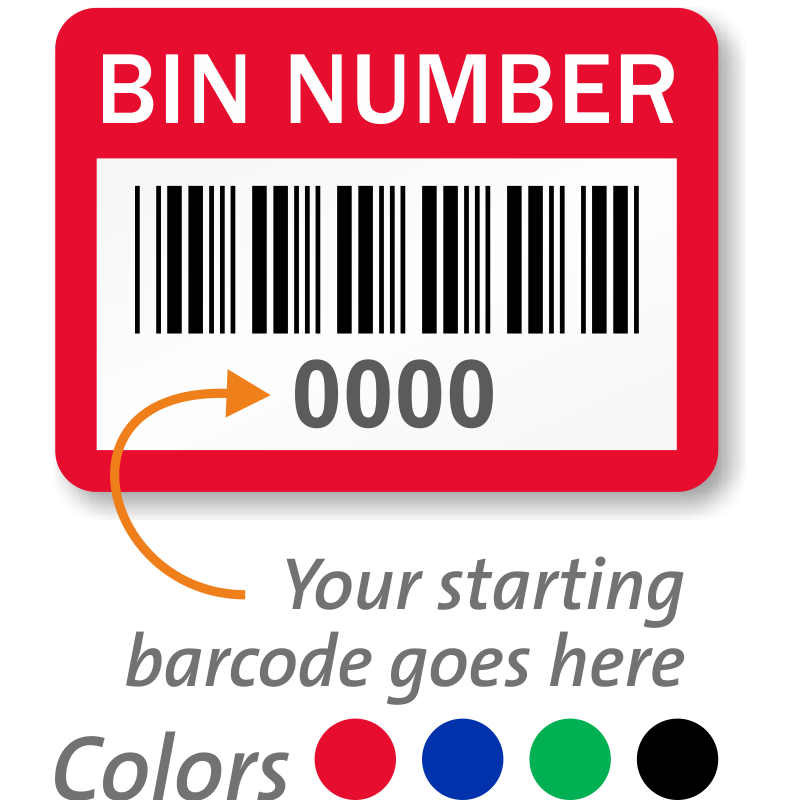 • Design and print your own custom inventory barcode labels. For free. 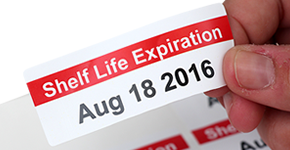 • Make your own Date and Expiration labels. • Genuine Aigner label holders – for less. 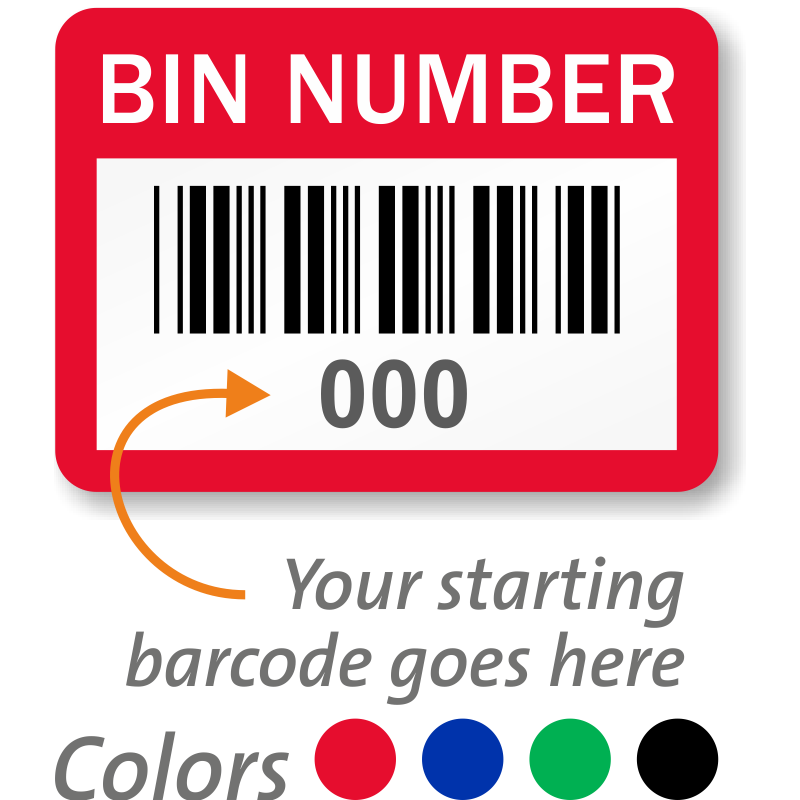 • Explore all of our different barcode materials.